Over fifty years ago, Msgr. 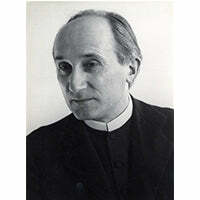 Romano Guardini resolved to help his parishioners overcome the distractions and restlessness they suffered at Mass. Just before Mass each Sunday, he gave a brief talk on some aspect of the Mass, teaching them week by week, topic by topic, how to pre-pare themselves to participate more prayerfully. Afterward, he provided a few minutes of silence for reflection, and then began to offer Mass. So helpful were these 32 talks that they were soon published and have since been reprinted countless times in numerous countries and languages, helping generations of Catholics to deepen their devotion during Mass. Practical, straightforward, and full of wisdom, these talks will help you to quiet your soul, concentrate your mind, and grow receptive to God's grace during Mass. - What to do when the Mass becomes boring and "routine"
Although he was an eminent theologian, Msgr. Guardini wrote for ordinary Catholics who are struggling to become closer to Christ. Practical, straightforward, yet full of wisdom, Meditations Before Mass will help you to quiet your soul, concentrate your mind, and grow more receptive to grace. "I encourage you to prayerfully read these reflections to help you participate more fruitfully in the Mass, the 'source and summit of the whole Christian life.'" You will encounter in these reflections one of the most important spiritual writes of this century. Anyone wishing to delve deeply into the meaning of the Holy Mass will want to own this book. To read this book is to move to the most profound levels of the liturgy...Among Guardini s many talents is a remarkable ability to formulate succinct and illuminating definitions.